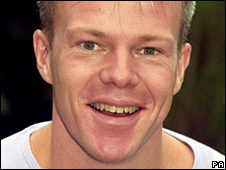 Police officers spoke to TV presenter Mark Speight hours before he was reported missing and said he appeared "distracted and deep in thought". Mr Speight, 42, refused all offers of help before saying he "needed to leave" when he was approached in Chamberlayne Road, north-west London, on Monday. 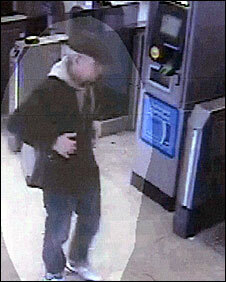 Police have now released CCTV images of Speight boarding a southbound Bakerloo line Tube from Queens Park station. Later that day he was reported missing by concerned family and friends. They said Mr Speight was in a "fragile state of mind" following the death of his fiancee Natasha Collins three months ago. Miss Collins, 31, was found dead in the bath at their north London home after both had taken cocaine and sleeping pills. Detective Inspector Declan Williams, who's leading the search, told BBC News 24 the pictures had helped them identify where Mr Speight had been. "We now know that he was seen getting onto the tube at Queen's Park station on Monday. "We know that previously he used his cashpoint card just near Queen's park tube station and took out £50. "Shortly after that he went into the station at about twenty past one and after that he went off and got onto a train at about ten to three." Mr Speight, who has been staying with Miss Collins' mother since the death, was reported missing when he failed to meet her for coffee in Covent Garden at 1530 BST on Monday. Police officers had spoken to Mr Speight as he walked in Kensal Rise at about 1315 BST the same day. Scotland Yard said he was given the opportunity to see a doctor, go to hospital or speak to an officer privately but he declined. Officers said Mr Speight had withdrawn money from a cash machine on Salisbury Road just before 1430 BST on Monday. He then entered Queens Park station and at 1447 BST boarded the Tube bound for Paddington. Mr Speight was reported missing six days after an inquest into the death of TV actress Miss Collins. Originally he was arrested on suspicion of murder and supplying Class A drugs but no charges were brought. In February the presenter, who is originally from Wolverhampton, announced he was quitting the BBC children's art show SMart, which has run for more than 10 years. In an appeal on Tuesday both families said they were "deeply concerned" for Mr Speight who was in a "fragile state of mind". Ms Collins' mother Carmen, 57, then urged him to "please get in touch with us". Mr Speight, who is 6ft, was wearing a brown suit jacket with dark jeans and a brown flat cap.